All the available evidence suggests that Brexit will be chaotic and debilitating, but the answer is not necessarily to force a halt – unless it is the hard Brexit devotees themselves who are forced to do it, writes Conor Gearty. He explains that a sudden reversal of Brexit would become the new casus belli. Equally, the government’s current exit plan, which is likely to grow into something plausibly akin to EU servitude, would also exacerbate the symbolic conflict over Europe in UK politics. A collective catharsis can only be achieved by putting the chief believers of Brexit in charge, he concludes, even if the price is a catastrophically hard exit from the EU. After another week of domestic politic chaos and with the former Foreign Secretary again testing the waters for a leadership bid against the Prime Minister, Brexit negotiations are yet again effectively on hold in the United Kingdom. Mr Barnier and his team in Brussels do not know whether the present British position will endure or that, even if it does, whether later UK governments will stick to it. The spectacle of the slow death of an ancient political party must, it seems, take precedence over everything else, even the future of the country. How could it have come to this? What is to be done about it? Shortly after the 2016 referendum a friend of mine, an experienced diplomat, said of Brexit that it could best be understood as a type of cult, played out on a vast – and therefore catastrophic – national stage. We both knew of the likely range of disastrous consequences that would flow from the “decision” that the “people” had supposedly then just taken. One of the absurd alibis of recanting Brexiteers is that they had no idea it would be like this; another – likely to grow as the situation worsens – is that a more competent government would have handled things differently: eccentric Brexiteer Lord Mervyn King appears to have become this kind of repenter, blaming everyone (except of course themselves). Since my conversation with my friend, the cult aspect of Brexit has become even more evident: the setting of the day when the New Jerusalem triumphantly arises from the ashes of our European past (29 March 2019, at exactly 11pm); the blind assertion of faith in the future in the face of all the evidence that Brexit will be chaotic and debilitating; and – more recently – a growing sense on the part of the leading disciples of Brexit that the New Kingdom may take a while to emerge after all: indeed, over a period of fifty years on the estimation of Jacob Rees-Mogg in a recent exchange on Channel Four News. My friend went on to explain why so many cult followers choose death over acknowledgement of their error: they prefer to kill themselves rather than accept the deep nature of their error. This is what we face on 29 March next year: a national suicide as an escape from the admission of terrible error – death rather than repentance and reversal. What can those of us who are not cult members, who watch aghast on the sidelines, do? Must we assist the fatal process, seek to stop it, or just make our selfish plans to survive the liquidation as best we can, diverting our eyes from the mayhem around us, holding fast to our wallets and damn the rest? 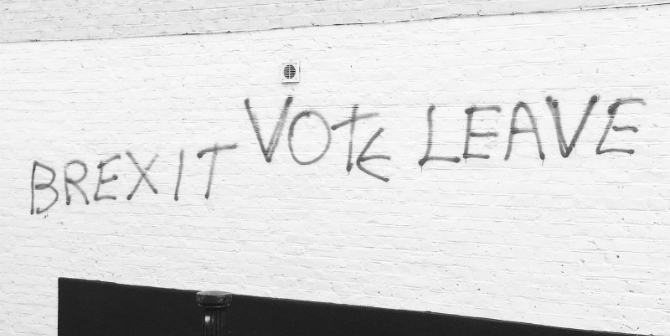 Many are working to secure a second referendum; some are seeking to steel the will of MPs to vote down the whole thing when it gets before them in some shape or other in the Autumn; and others hope a new election will be called, and a Remain government is returned to power and so saves the day. All three options are superficially attractive and some of them – or a combination of all three – might well work. So too might the de facto surrender on all points which the government may well feel compelled to make as the Brexit cliff draws closer – leaving the UK with all the constraints of Club membership (including the payment annual dues) but no say in its organisation or governance: a suicide of gloomy servitude. The difficulty with all of these options, if any of them were to succeed, is with the longer term: we have not the slightest guarantee that the Brexiteers will commit political suicide if they cannot take the country with them. Rather the reverse. They will live on, saved from collective annihilation, to preach treason and betrayal at every turn and before every audience. If Brexit were indeed to be formally reversed, UKIP would revive, and win a multitude of seats in the European Parliament in the May 2019 election (from which, as things stand, they will be mercifully excluded). At home, the fights with the EU over the reversal of Brexit would suddenly become the new casus belli. The servitude option would produce exactly the same effect. Endless battles would ensue to take back control properly by throwing off the Brussels yoke, and damn the international agreements that would seek to stop us. Nothing would be settled because none of the core problems that have given rise to this Brexit madness would have been addressed. What are these? First the sense of entitlement that pervades English culture, a sense of exceptionalism that makes even other faded post-colonial powers seem modest. Second, the ongoing absence of any kind of loyalty whatsoever to the EU, a relationship perpetually presented in transactional terms but with the bargains that come our way being always hidden while the costs get shouted from the rooftops. Third, the constitutional illiteracy of a society that boasts of having no constitution, where power is exercised informally in accordance with unwritten conventions and in which no serious reflection on the rule of law and respect for human rights has ever occurred: when I wrote about this a while back from the human rights point of view I inevitably ended up calling the book On Fantasy Island. Brexit reversal or EU servitude would both exacerbate, not inoculate us against, these diseases of the collective mind. Image by Sam, (CC BY 2.0). So why must we be with Jacob Rees-Mogg? Every conceivable Brexit outcome overseen by Theresa May would be condemned from the sidelines by the chief Brexit cultists, who would claim they could have done better, that the “Remainers” have had their clever way (whether reversal or servitude) or that the chaos of a no-deal Brexit could have been avoided in some clever unspoken way had we been “tougher” with Brussels: the Mervyn King fantasy. The chief believers need to be in charge, leading the country over the cliff. A good start has been made with the ever-perky Dominic Raab now getting his regular tutorial in reality from Mr Barnier. But the whole ship needs to be sailed into disaster by a captain of unimpeachable cultist authority. And that is Rees-Mogg not Boris Johnston or Michael Gove, opportunists both. If it is to be surrender, servitude or chaos it must be unequivocally on the Brexiteers’ watch. What then? Of course, I hope for the best, with Rees-Mogg leading a dramatic reversal of Brexit on the eve of departure, with no domestic scapegoat to hide behind. But let’s assume the worst – that Rees-Mogg takes the United Kingdom into oblivion. That will be the end of him and his crowd as long as we still have elections – “Wait 50 years!” is not a resonant election slogan. Over time Northern Ireland will surely join de facto (and eventually de iure) with the Republic of Ireland. Even a government minister now accepts that Scotland may be forced by chaos into embracing independence and then a formal (fast-tracked?) application to join the EU will surely follow, and be successful. Wales will agitate for the same. And England? I may be an emotional Remainer but strategically I am a Returner. Sooner or later, its imperial delusions smashed, its constitution exposed as broken, its young people will have their revenge. A European Troika from (let’s guess) Latvia, Ireland and Greece will eventually be invited in to assess the country’s suitability for rejoining the EU. By then the Brexiteers will, on the whole, be dead or shouting from their political cul-de-sac. Rees-Mogg himself will have returned to the eighteenth century. Of course, the pain will be terrible. But it will be whatever course is now adopted – the catastrophe was the Referendum, the rest is merely a following through of its bleak self-harming direction to politicians to realise the impossible will of an inchoate ‘people’. Rees-Mogg may be right that it will take fifty years to get over it – but not in the way he believes. Note: This article draws on an article published in The Tablet and originally appeared at our sister site, LSE Brexit. It gives the views of the author, not the position of EUROPP – European Politics and Policy or the London School of Economics. Conor Gearty is Professor of Human Rights Law, LSE. His most recent books are On Fantasy Island (OUP, 2016) and Liberty and Security (Polity, 2013). So this is the ‘judo’ strategy – don’t resist your opponents move but assist it – give ’em enough rope, as it were. And this will led to the implosion (lynching?) of Boris and the ERG, and, more importantly, to a shake out of the UK state and a long overdue rearrangement of relations within these islands? OK, seems reasonable. Thanks for an amusing piece of satire! More seriously, the idea of surrender to a national cult in order to bring about its demise via national “suicide” or liquidation kind of reminds me of Germany in 1932. I know I lose debating points for using a Nazi comparison, but would Gearty support Hindenburg in effectively “surrendering” power since it seemed “inevitable” that the cult in that case wouldn’t give up until they got the absolute power they wanted? In that case it took over 12 years for the “suicide” to occur, and I doubt anyone (with the hindsight of history) would advocate allowing the Nazi Party to take power as the only way to bring about their consequential demise. Now, let me be clear, I’m not comparing Brexiteers to Nazis. The Brexit campaign is misguided, especially the stupid No Deal campaign, but I don’t share Gearty’s near-apocalyptic understanding of the disaster it could cause. Also, it’s laughable that it is a “suicide of gloomy servitude” simply to forge a new disadvantageous deal with the EU (as any deal with the EU must be, besides full membership). Are Norway and Switzerland “dead” or facing gloomy servitude simply because they must accept regulations in trade and standards which they have no say in? Let’s not forget the wood for the trees and recognise that the majority of voters care much more about their jobs, the price of food in the supermarkets and a sense of national pride than in the minutiae of technocratic regulations in goods and services. Instead, the following is likely to occur: (1) an agreement is made between the U.K. and EU after excessive posturing and brinkmanship (2) the deal is disadvantageous to the UK and loss of trade with the EU and movement of businesses out of the UK causes a recession between 2% and 10% of GDP (personally I doubt any recession would be worse than the 2007-09 Great Recession). (3) people complain, and the Conservatives lose support. “Deal making” with other countries progresses slowly (3) in 2022 or earlier, Labour or a Labour-LibDem coalition takes power. By this time, there is no recession, but unsteady mediocre economic growth of around 1% (4) eventually (or possibly at once, if included in their manifesto), Labour moves towards a policy of EFTA membership (5) by around 2030 the UK joins EFTA. All progress on trade agreements with US, ASEAN, TPP is halted. (6) By 2040 the UK reapplies for EU membership. At this point, UK GDP per capita is around 40% less than Germany, so fear of being “left behind” and “sick man of Europe” dominates the national conversation. Brexit has not been a national disaster to the extent some feared, but at the same time, around 5m young people have relocated to mainland Europe for better opportunities, leaving the U.K. in dire fiscal strain. The large elderly population are cared for by expensive robotic carers imported from Japan and China due to the dire labour shortage in the caring profession (aggravated by short-sighted immigration policies).